Debbie Ariella | be active, be healthy, be happy : Is it really Healthy? I want to talk about something a little different today and hope that it will trigger something in you and make you think a little. 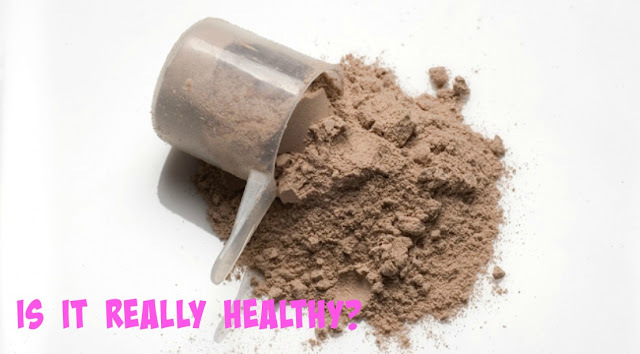 Very often when I google a healthy recipe or read through recipes that are shared on loads of health & fitness blogs there is one very particular ingredient that I find always comes up: PROTEIN POWDER. Replace the flour with protein powder in any baked goods and tadaaa it’s HEALTHY! Or instead of it being a brownie it’s now a PROTEIN brownie which means it must be healthy right? I mean of course replacing the flour with protein powder means it’s lower in carbs and higher in protein, but that is not what defines whether a food is healthy or not. Is this chemical powder really HEALTHIER for you than natural flour? I think protein has become such a buzz word in the health & fitness industry but one needs to be careful and think about whether some of these things REALLY are better for you than natural foods. As you may know I don’t bake with protein powder and I don’t use protein powder to healthy-fy the recipes I create for myself & you guys. I try to use natural products because in the end I believe that the natural products will always be better for you than a flavoured powder, even if that means my brownies are not super high in protein & super low in carbs. Having said that I don’t think protein powder is evil and should be avoided. I also drink a protein shake after my workout from time to time. I understand the concept of protein powder and I do think it makes sense to use it if you are trying to BUILD muscle and you drink a shake after a heavy lifting session to aid in rebuilding your torn muscles. BUT I don’t think it has a place in a healthy dessert or breakfast pancakes. (Check out my Protein Pancakes without Protein Powder Recipe here). Finally, it tastes bad. I used to try to make protein pancakes with protein powder because that’s what all the fitness & health blogs were writing about – so I had to try it right? But man, I can taste that chemical flavouring and I don’t think it tastes good at all. Am I the only one who feels this way? Let me know in the comments below what YOU think about this topic! I would love to hear your opinion, not matter what it is.